Although this project is not of European origin it has great applicability for the development of strategies in Europe, especially in disadvantaged areas. 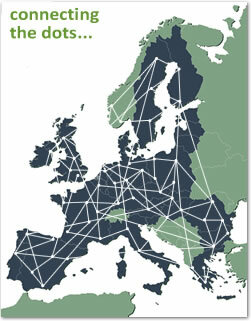 European regions and cities can learn much from the approach adopted in Hume. Hume City Council brought together learning and education providers in Hume to develop the Village as part of Council’s program to promote learning in Hume and to act as a catalyst and leader. The first meeting was held in May 2003 and an interim committee was formed. learning towns and cities spread across Australia and overseas. Hume City Council's Social Justice Charter was launched in 2001, stating the Council's aim "to promote an active citizenry, strengthen community wellbeing and reduce the causes of disadvantage". do not fully enjoy basic entitlements to be free and equal in dignity and rights. Council committed itself to action to redress the situation. Village's Strategy contains practical steps to address issues and supports the Council's objective of social justice. Whilst developing the Strategy, careful consideration was taken to address the needs of the groups in the Hume community identified by the Charter. Each project includes steps to encourage participation from these groups. It was developed over three months in early 2004 through a series of small-group community conversations, augmented by meetings of the Advisory Board, the Village Forum (open meeting of Village members) and the Village Committee. The 56 strategy items on the attached document show a wide and eclectic selection of actions to bring Hume into the 21st century as a learning city.